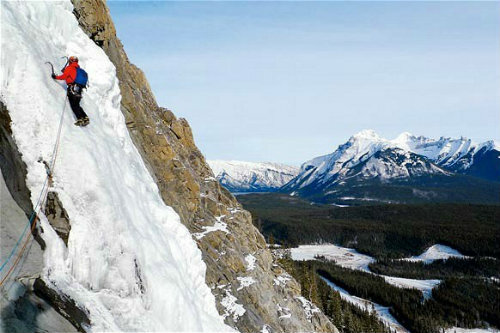 Ice Climbing, a pinnacle of adventure sports, has become rather popular in certain parts of the world. 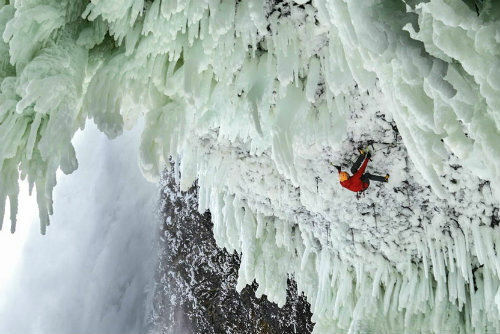 Ice climbers will spend hours, sometimes days, clung to the face of a glacier or a frozen waterfall. Using axes, picks and all kinds of equipment, climbers inch their way to the top; the harder and higher the climb, the greater the achievement. 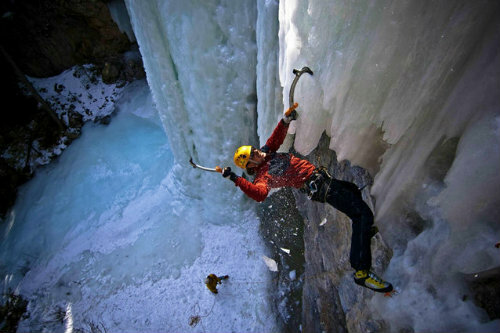 Today, due to many recent advancements in tools and equipment, ice climbing can be done by nearly anyone. 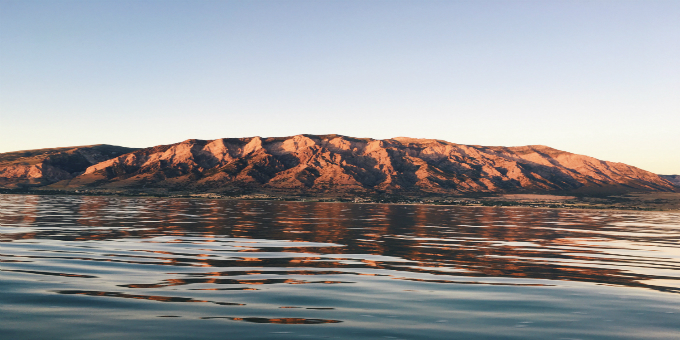 Levels of difficulty range from relaxed climbs in mild, winter climates to life-risking ascents in the most brutal conditions. 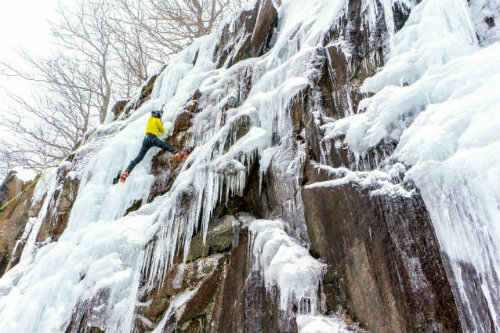 Here’s a look at the sport of ice climbing, some interesting facts, and some of the best places to dig your spikes into. 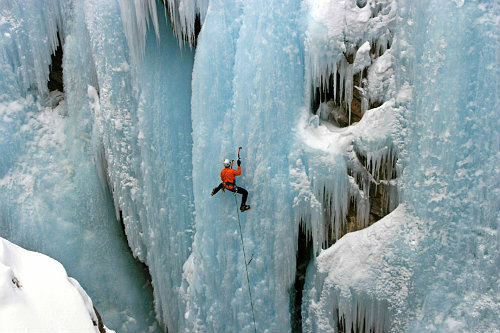 Ice Climbing emerged out of mountaineering and traditional rock climbing; it became known as a recreational activity in the late 1800s, and grew in popularity in the early 1900s. The first known ice climbing competition took place in 1912, on the Brenva Glacier in Courmayeur, Italy. 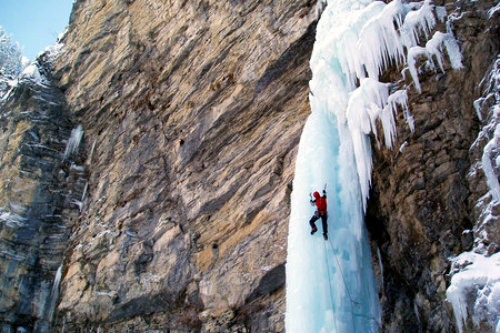 Advances in ice climbing equipment really helped the sport grow. The invention of the Crampon, a spiked metal device that attaches to the bottom of boots, made it possible for climbers to more effectively get their footing on the ice, rather than having to chip away steps with each vertical move. 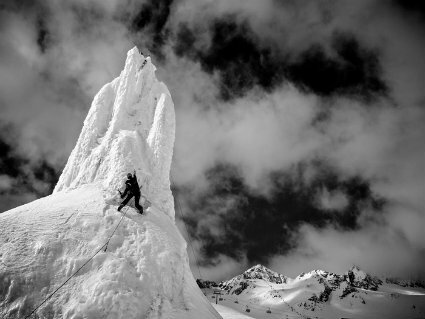 Other inventions such as shorter, lighter pick axes made it easier for climbers to scale their way up the ice; this opened the doors for larger, more aggressive and more daring climbs. 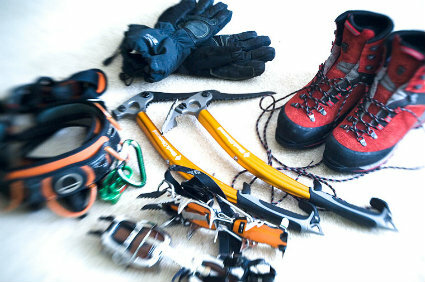 Ice Climbing relies on a number of special tools, many of which are redesigned from rock climbing. A necessary tool is the axe, which is used to both stick into the ice to pull oneself up, and chip away hazardous loose pieces. Axes are equipped with leashes, that are worn around the climber’s wrists preventing the tool from being dropped. 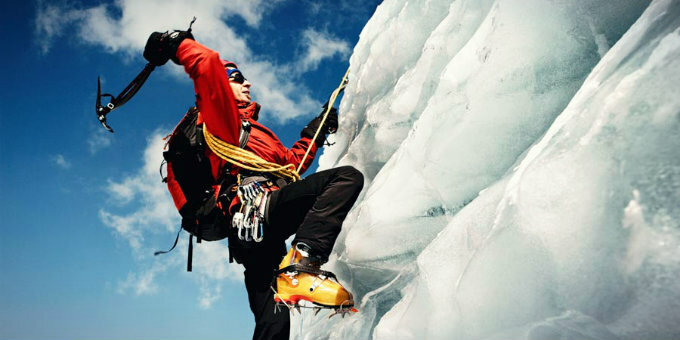 Crampons are worn on the feet, allowing the climber to punch holes into the ice and push themselves upward. The most important tools are ice screws and rope, which are anchored into the ice and prevent the climber from falling to a cold death should they slip. 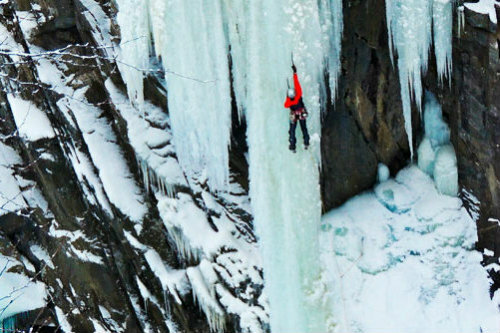 Ice climbing can be extremely dangerous but with the right tools, the experience can be as equally enjoyable as it is challenging. 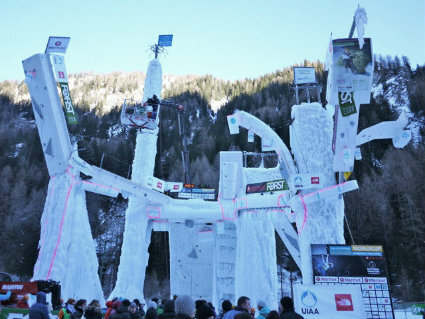 Today, the sport of ice climbing has taken off. 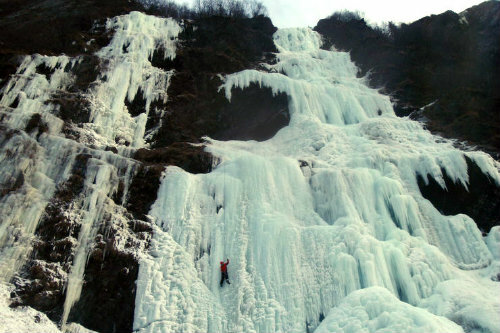 In 2002, the International Climbing and Mountaineering Federation (UIAA) organized the first Ice Climbing World Cup. 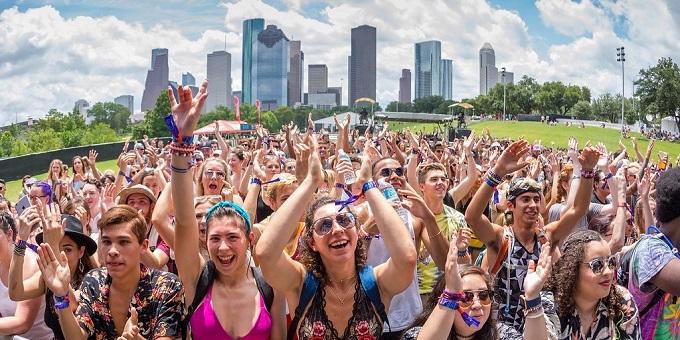 With each year, the level and number of competitions has increased, seeing more participants from different parts of the world, as well as a growing number of spectators. 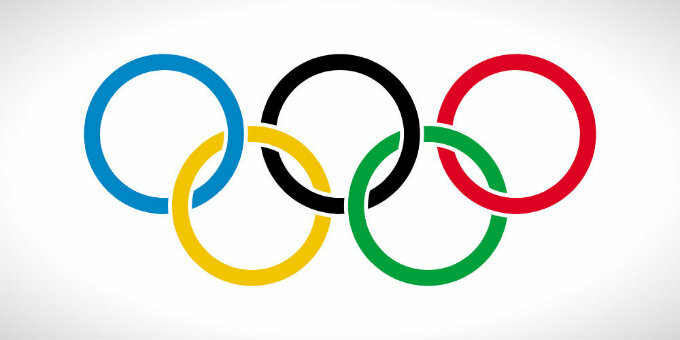 Some are even pushing for ice climbing to be added as an Olympic Sport.